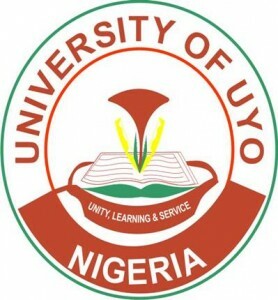 The attention of University of Uyo Management has been drawn to some publications on some fraudulent websites purporting to be University of Uyo Admission website. They are asking unsuspecting members of the public to make payments into certain account numbers. The University wishes to inform the general public that the above cited websites among others do not, in any way, form or represent University of Uyo or any of its subsidiaries. This development has been reported to the appropriate security agencies for investigation and prosecution of those found culpable. University of Uyo hereby disclaims liability for any transaction entered into with these fraudsters. The general public is by this notice duly alerted and warned to desist from relating with such persons or outfits in whatever form as University of Uyo has nothing to do with them. Anybody who pays money to any private bank account or any person(s) purporting to act on behalf of the University and/or any of its subsidiaries, for admission into University of Uyo does so at his or her own risk. 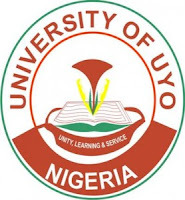 All information regarding admissions into University of Uyo can be accessed through http://www.uniuyo.edu.ng and no genuine University of Uyo Staff or representative will ask any applicant/ candidate to pay money into any private Account. For emphasis, all payments (which are E-bill based) for application form, admission and registration are made in favour of University of Uyo via Remita platform.